IgA nephropathy is the most common glomerulonephritis throughout the world. This disease is characterized by deposition of the IgA in the glomerulus. There are other diseases associated with glomerular IgA deposits, the most common being Henoch-Schönlein purpura. 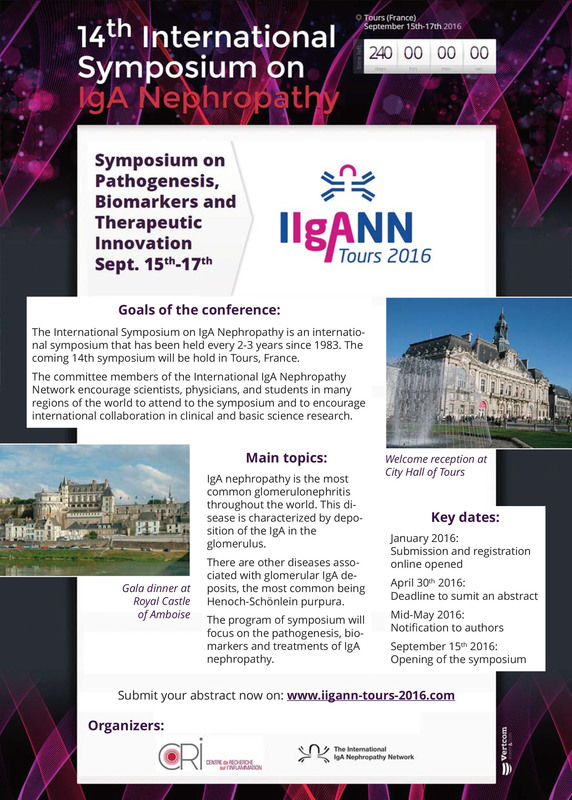 The program of symposium will focus on the pathogenesis, biomarkers and treatments of IgA nephropathy. The committee members of the International IgA Nephropathy Network encourage scientists, physicians, and students in many regions of the world to attend to the symposium and to encourage international collaboration in clinical and basic science research.